Open Arrow and extract 95 mm of precision-milled powdercoated aluminium. 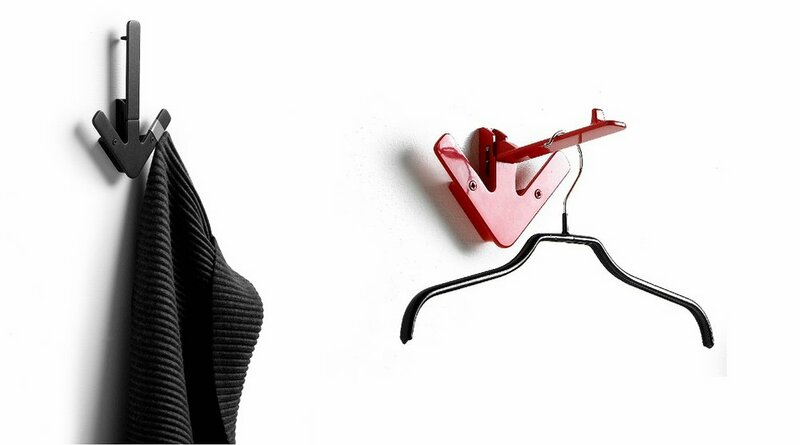 In a precise horizontal position the softedged hanger supports hefty loads, but is just as useful for a newly ironed shirt and a pair of trousers. If you close it there are still three hooks on which to hang various items. 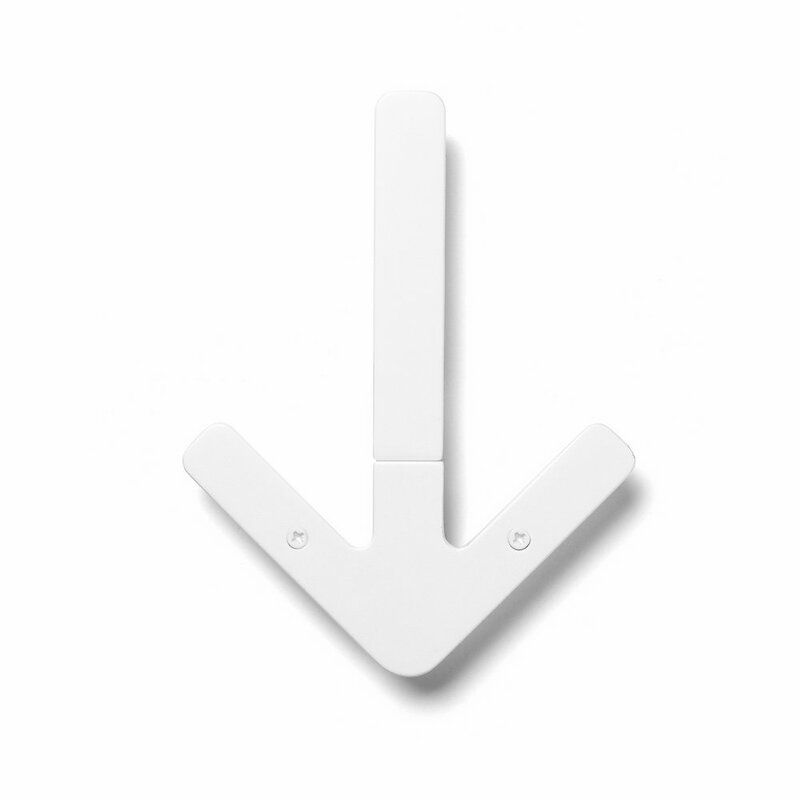 When not in use, Arrow will adorn the wall like an iconic graphic symbol. Or you can put several together to create various patterns, just waiting to be folded out and used.